Elena Ramos has been with TriCity Family Services since October 2018. She has past internship experience working at a private practice and a school based services program where she worked with children, families and adults. In addition, Ramos, who is bilingual and conducts session in Spanish with Spanish-speaking clients, has also had some experience working at a mental health agency counseling women with perinatal depressive disorder and trauma issues. One of Ramos’ strengths is connecting with children and teens. Some of the issues she has addressed within this age group include: anxiety, depression, ADHD, Oppositional Defiant Disorder (ODD), family conflict issues, grief/loss, trauma and PTSD. Ramos believes a strengths-based approach is effective in working with clients of any age and also uses Cognitive Behavioral Therapy to address many mental health issues. 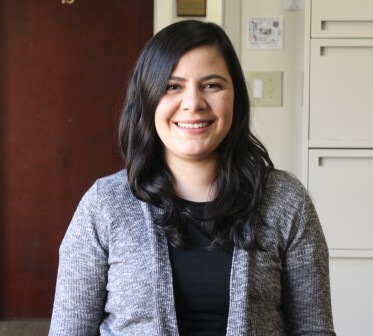 Ramos earned her Master of Arts degree in clinical mental health counseling from Lewis University in May 2018. In her downtime, she enjoys connecting with friends and family, bible study and walks outdoors.